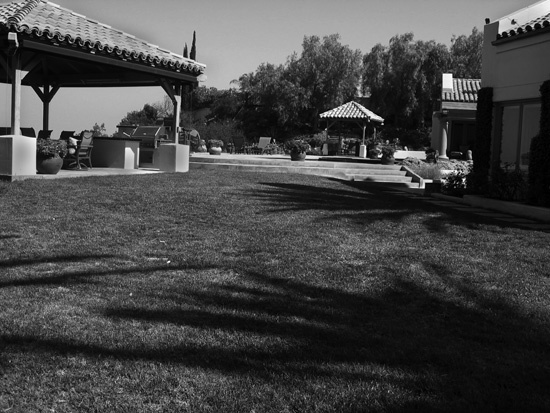 This large property built on several acres boasted a swimming pool, sport court, several covered patios and a spectacular view. 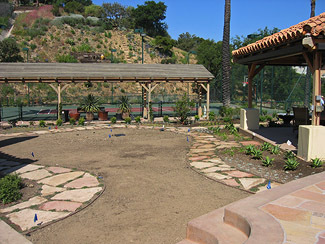 The owners thought the landscaping looked tired and wanted to add warmth and color to it. 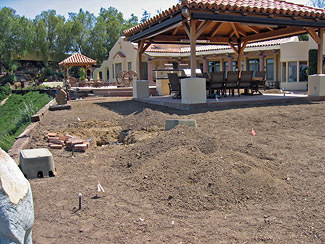 They requested a water wise plant palette that would complement the Tuscan style of the house. 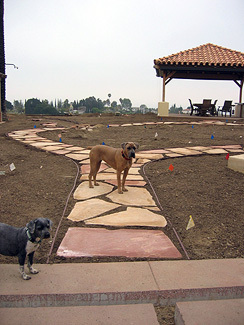 The owners wanted to reduce the size of the lawn, but still retain some grass for their four dogs to play on. The lawn was downsized by about 65 percent, and we installed a new flagstone path that meandered through the yard, and around the entire perimeter.